1. International Educational Fair of Cyprus 2018 "Education and Career"
Several important stakeholders, key people and official bodies, as well as parents, teenagers, teachers, youth workers and many others visited Emphasys’ booth and were informed about the ‘SeniorsGoDigital’ project’s aims, objectives, products and expected outcomes. 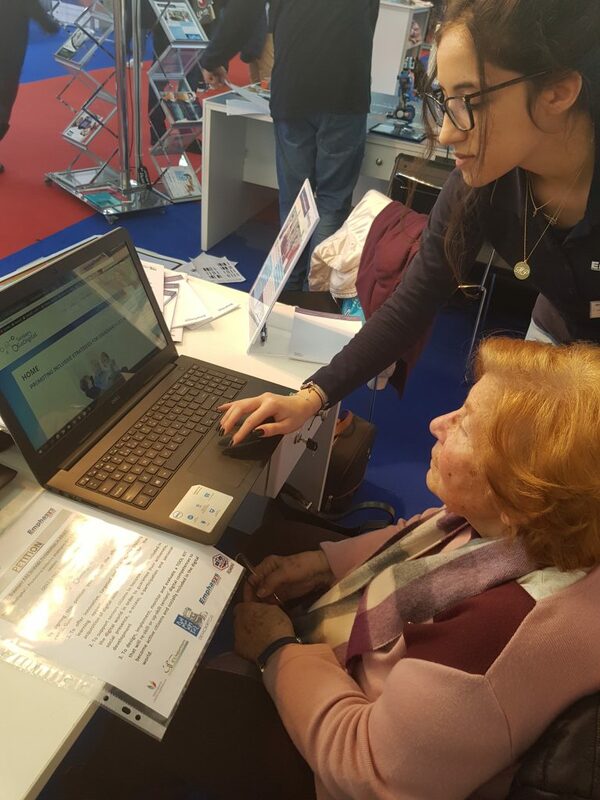 Overall the International Fair presented a great opportunity for the dissemination of the ‘SeniorsGoDigital‘ project to a large number of interested people (estimated to be more than 10,000). 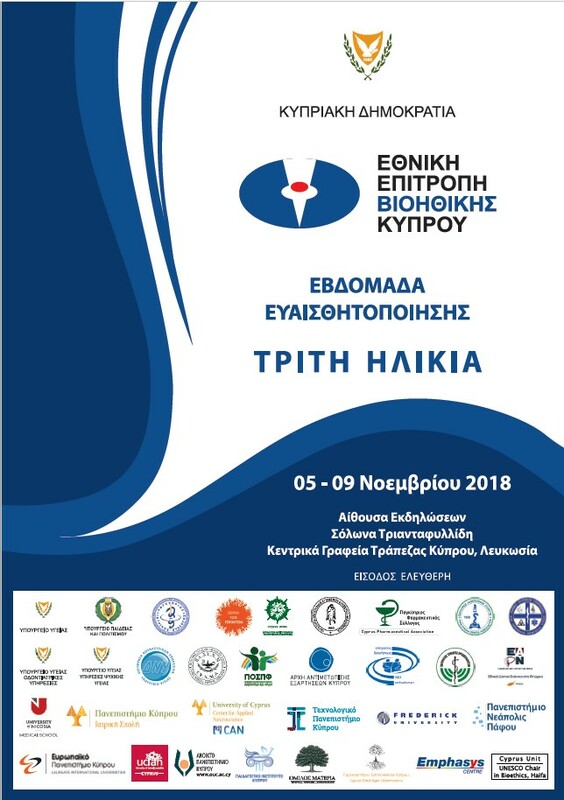 Emphasys Centre was present at the Etiquette Week for Elderly People organised by the Cyprus National Bioethics Committee on 5-9 November 2018. 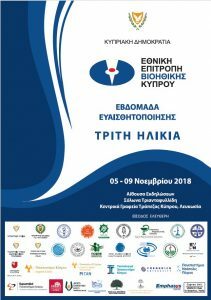 The National Bioethics Committee of Cyprus (EKBK), in cooperation with more than 30 private and public sector organisations, including the Ministry of Health and the Pancyprian Medical Association, organized a Week of Awareness on Third Age Issues. 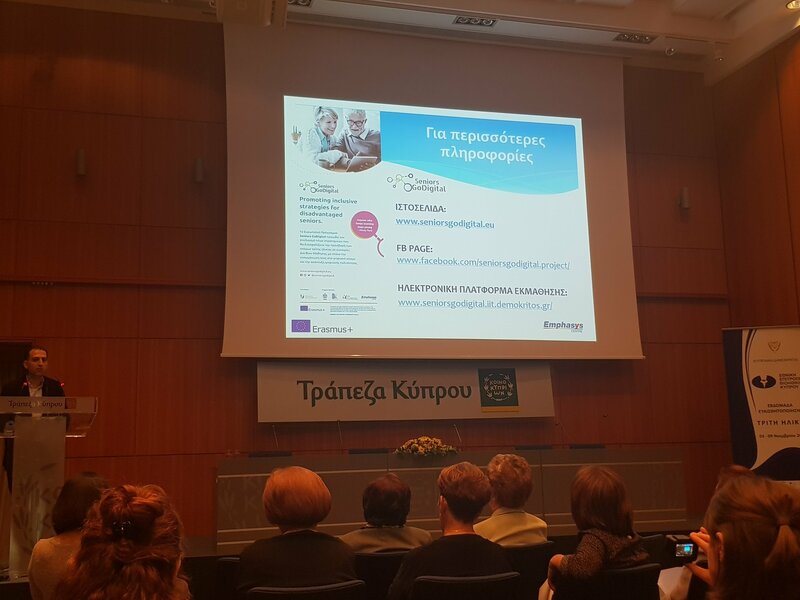 Mr. Athos Charalambides, presented the potentials and opportunities offered by the Erasmus + Programme, not only for the Third Age Individuals but also for their Trainers and Carers. 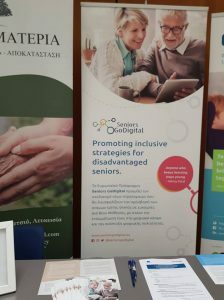 Specifically, the European Program SeniorsGoDigital was presented to senior citizens, as well as adult educators. 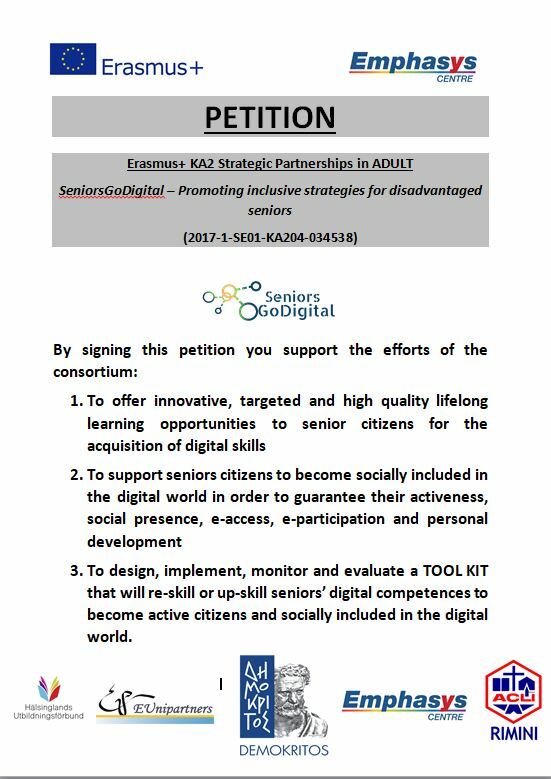 The opportunities for training as part of the project next summer created a lot of interest for the senior citizens present. 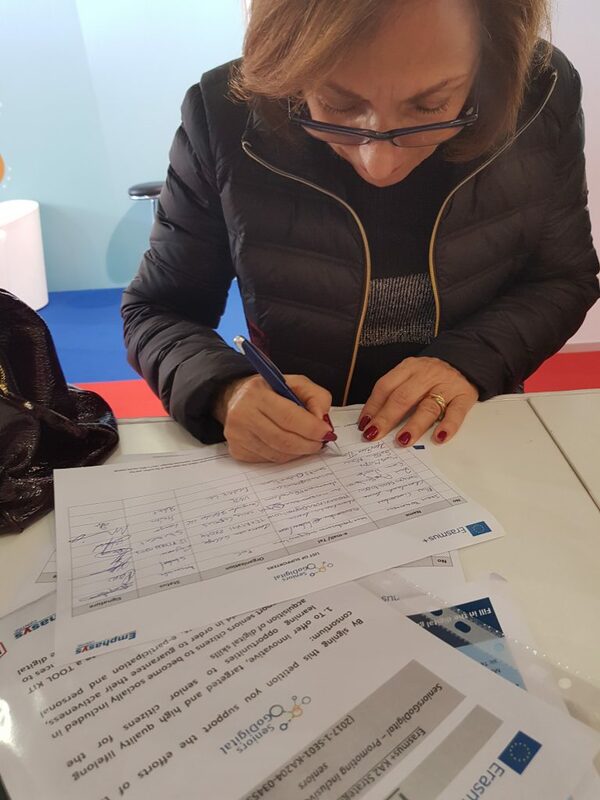 The happiness and prospect of acquiring digital competences was presented in their faces. 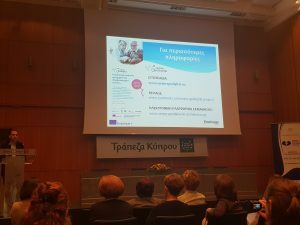 The presentation took place on Thursday 8/11/2018 at 14:20 - 14:40 at the Event Hall Solon Triantafyllidis - Bank of Cyprus Head Office.